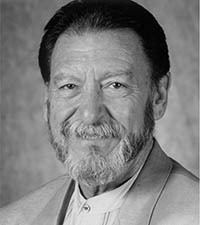 SEMA Hall of Fame - Harry Hibler, 2002, Nanotech Fuel Corp..
Harry Hibler made his professional mark in the publishing industry, serving at Petersen Publishing for nearly 30 years. 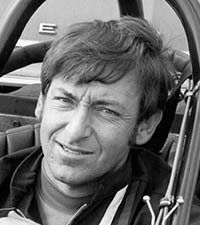 He was responsible for considerable growth in the company’s automotive enthusiast magazines, including Hot Rod, Car Craft and Circle Track. 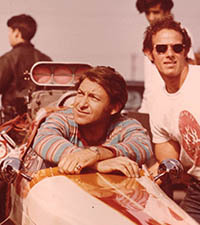 In 1991, Hibler was the only non-GM person called upon to be involved in the design of the “new generation” Camaro and Firebird. He also has consulted at Mitsubishi, Kawasaki and Honda. Hibler served three terms on the SEMA Board of Directors. 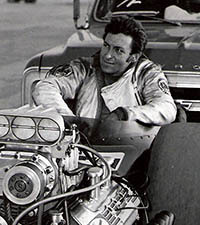 He is on the selection board of the Drag Racing Hall of Fame, and is a member of the Industrial Advisory Board of Northwestern College in Ohio, where he was inducted into the Hall of Fame in 1994.